With snowmaggedon upon us and freezing temperatures affecting households through the UK staying warm is the top priority. But how do we do it without spending big and using up energy? Here are Zing Energy’s top 10 tips to keep your home warm and cosy and keep your energy bills down. Remember hot air rises and cold air sinks! As we warm our homes the warmth rises to our ceilings and itf there isn’t proper insulation, it leaves through the roof. This is the first and natural direction of energy loss in the home. So tip one is loft insulation. This is something that is subsided by energy companies and by the government. There are a vareity of schemes householders can access to have this either fully or partially subsidised. Zing Energy can advise. As we’ve discovered warm air rises to the ceiling. Run your fan on its lowest setting to push the warm air back down. Once the roof / loft has been insulated, crafty warm air will seek another route of escape. The next point of departure is the windows, doors and walls. Luckily there are also grants for wall insulation, which can make a huge difference. Clearly there is a upfront cost but over the long terms this can make a big difference in saving money by effectively trapping heat in the home. Simple tactics can make a big difference. Lined heavy curtains can help to retain warmth in a room. Additionally a draft excluder works well to stop heat escaping and lower your bills. An efficient combi boiler helps to provide heat on demand, but also saves the bills because it does not have to run all day. Grants are available for boilers and efficiency savings that these boilers bring in. Air bubbles trapped often get trapped in your radiator’s system. These bubbles prevent hot water from circulating effectively, so radiators take longer to warm and aren’t as hot as they should. Bleeding them and letting water out can make a big difference. If there’s zero change in your home’s temperature when you adjust the temperature, or the display is unlit or unresponsive, there may be a problem with your thermostat. Make sure you check it to see if our thermostat may be broken or the batteries need replacing. Remember it’s actually easier to change your body temperature than room temperature, not to mention more eco-friendly. Consider putting on another layer of clothing if you want to reduce the time you have the heating on. Using your oven will heat the whole house. Plus some hot bakes can help to warm you up and while away the time as the snow falls outside. 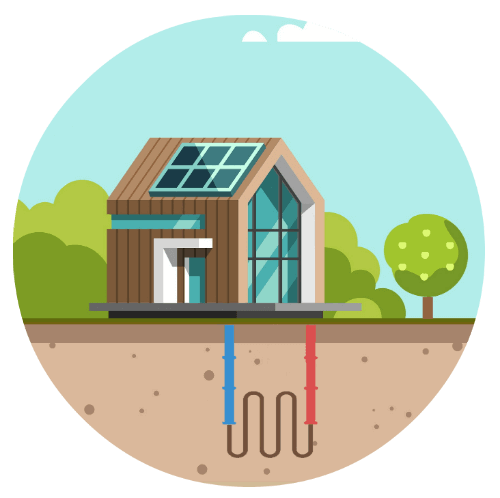 Contact Zing Energy today and speak to one of our experts on how you can warm your home, lower your energy bills and become more energy efficient!